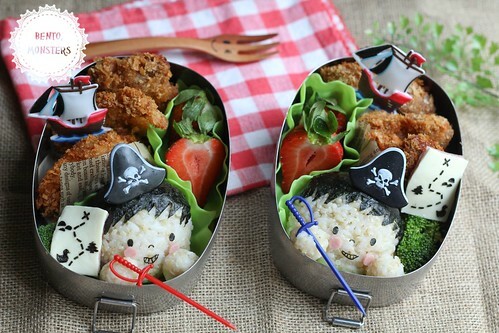 Pirate lunch I made today, the boys are made from brown rice and nori. And the map is made from cheese and nori. They also had fried chicken, broccoli and strawberries for lunch. Now, details on how to take get your URL to enter the giveaway. 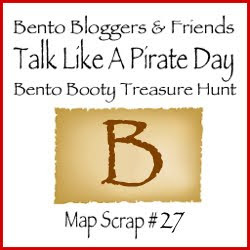 Every blog in the hop has a piece of the map to the bento booty treasure - a giveaway! As you go through the hop, collect the pieces and put them in the right order to find out where to enter! 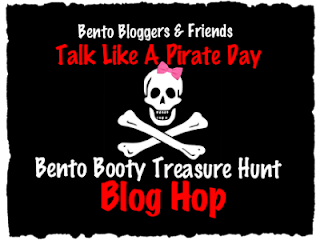 You'll probably need something to write with, because there are 39 blogs to visit, so 39 pieces to collect! 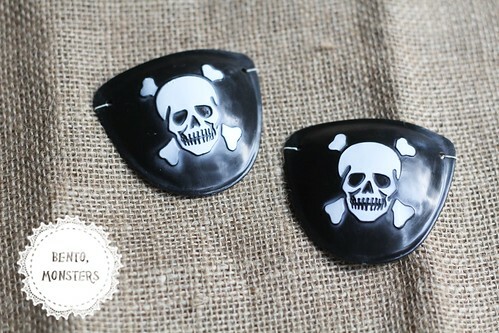 37 pieces will spell the URL, and 2 bonus pieces with words on them will get you 2 entries to win! Copy down the letter and number on the map above. Now go on to the next blog, collect the next letter and fill that in. You can click HERE to print the worksheet above. You pirates are so awesome! I just wanna squish those little rice cheeks! So cute! I Love it! I always love the details you put into every bento Ming! Amazing job! So creative! I love all of the details. I don't know if I could bring myself to eat this amazing lunch! You always completely blow me away. I love your style! 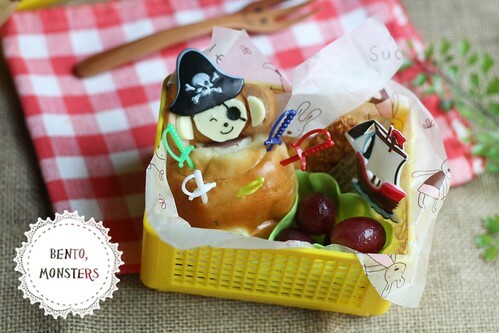 Those are the cutest little pirates ever! I wish I could do that with rice! Rice terrifies me!!! Are you kidding me!? This is SO fabulous! 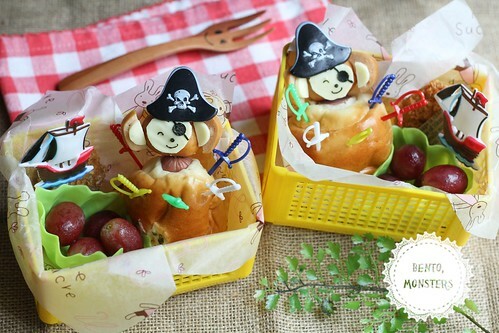 The monkeys... the adorable little pirates. I agree with Melissa, you ALWAYS blow me away. SO great!!! wonderful job, as usual! I absolutely love the sausage monkeys! These are INSANE! Such fabulous work.. I want to bite their little heads off.. in a good way! These are truly very well made! Captures the essence of bentou very well! Ahoy ahoy ahoy! Totally love it! Your lunches are amazing! I easpecially love the Hotdog Monkeys! Absolutely love the pirate boy!! So cute & cheeky! & the monkey in barrel~ my boy has that toy! :D you are truly creative! Oh~ and i've found my way through the map! Yayy! The tiny maps kill me! I love it! Arr! OMG! Your lunches are INCREDIBLE! I want to jump right into my monitor and eat it all up! 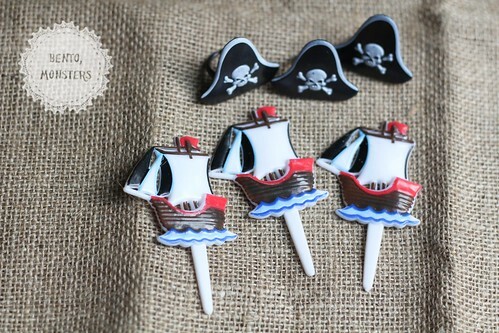 Those little pirate dudes are SO stinkin' cute!! Oh my goodness! What a cute lunch!! This is such a clever lunch, Ming! 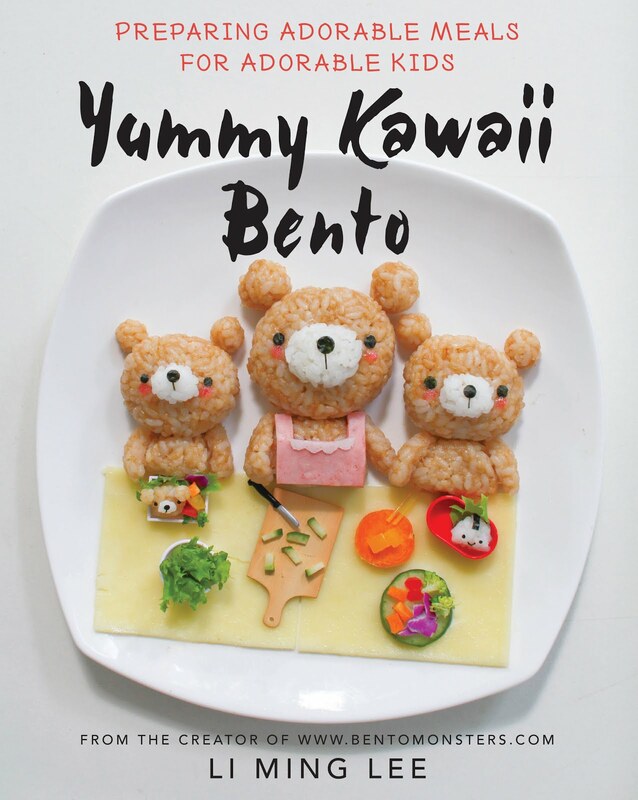 So jealous of those skills :) You are a wonderful bento-mama. WOW!!! Ye lunches be very pleasin' to the eye! Ye pirates be incredible!!! Oh wow REAL bentos! And, they are real cute! I love the mini maps! I love what everyone has done today!! !, but I have to admitt, I was super excited to get to your post... and of course, it's full of AWESOME PERFECTION!!! You're so my favorite Ming!! That is way to AMAZING! I love all the details! Your pirates are awesome! Outstanding, as usual, your food looks too good to eat! One of my favorites - great job, SO creative! your rice pirates are truly amazing! Love the map especially, thought u used the food marker, but u did it even better with real nori... Thumbs up!!! 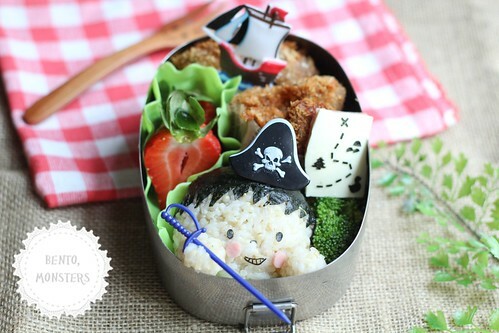 I love your pirate bento, maps are awesome and I like the smiley face of the little pirates. Amazing! Just amazing! Too many details! My brain is exploding! your pirate boys are absolutely adorable! !